India and Africa share a long and rich history of interaction marked by cultural, economic and political exchanges based on South-South cooperation and common developmental challenges. India has carried out a number of initiatives in the past decade to facilitate economic relations between the two regions. The Government of India launched the “Focus Africa” programme in 2002 with the objective of strengthening trade ties with the African countries. The programme extends almost to the entire African continent and the primary objective is to increase interaction by identifying potential areas for bilateral trade and investment. A major initiative by India in recent years has been the India-Africa Forum Summits, held since 2008. The third India-Africa Forum Summit was held in New Delhi in October, 2015. The Summit brought 41 African heads of state and government to India with a view to strengthening the friendship and engagement between the two regions. In 2009, India launched the Pan African e-Network Project (PAENP), conceived by former President of India, A.P.J Abdul Kalam. The project, with a budget of approximately US$ 125 million, is entirely funded by India and aims to provide satellite connectivity, tele-education and tele-medicine services to the African countries. It also supports e-commerce, e-governance, infotainment, resource mapping and various other services. The project has presently been commissioned in 47 countries. Besides, India has also created Lines of Credit to develop projects in the region. Total trade between India and Africa increased almost five-fold between 2005-06 and 2015-16, and stood at US$ 52 billion in March 2016-17. India’s exports to Africa increased from US$ 14 billion in 2007-08 to US$ 23 billion in 2016-17 (Figure 1), registering an impressive compound annual growth rate of 5.6 per cent. Indian exports to Africa were at a peak in 2014-15 at US$ 32 billion. Indian imports from Africa, on the other hand, increased from US$ 20 billion in 2007-08 to US$ 28 billion in 2016-17 accounting for 7.5 percent of total Indian imports. Indian imports from Africa grew at a compound annual growth rate of around 4 per cent, reaching a high in 2011-12 at US$ 44 billion. South Africa continues to be the leading export destination for India as of March 2017 with total exports at $3.5 billion accounting for around 15.4 percent of India’s total exports to Africa. India’s other major export partners in 2016-17 include Kenya, Egypt, Tanzania and Nigeria. These regions together account for around 34 per cent of total Indian exports to Africa. The estimated value of imports from Nigeria to India stood at US$ 7.7 billion in March 2017, making it the top import source for India. Nigeria accounts for about 26 per cent of India’s total imports. 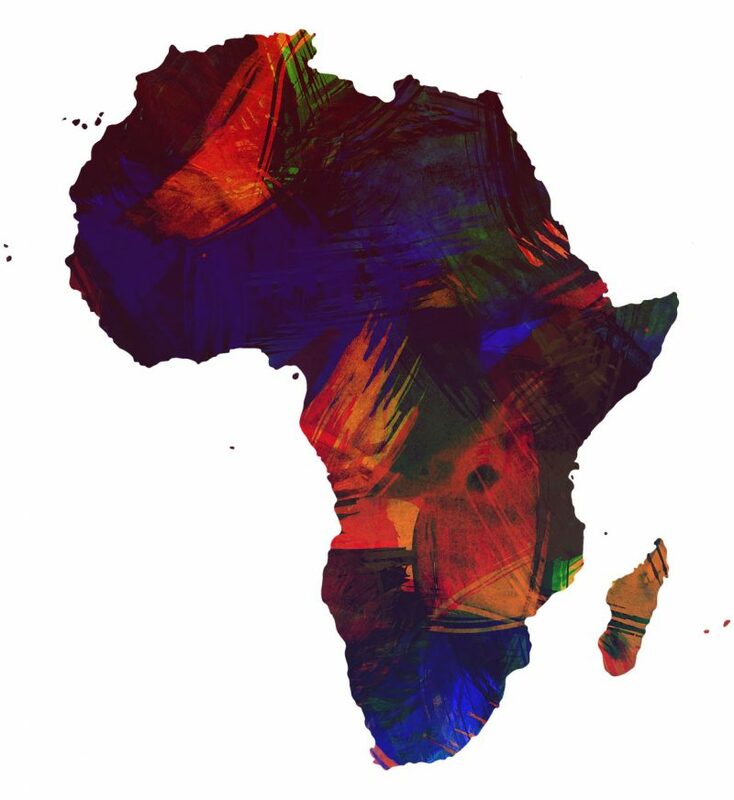 The other major importing countries from Africa include South Africa, Angola, Ghana and Botswana. These African countries together account for about 40 per cent of India’s total imports from Africa. India’s key export in April-February 2016-2017 to Africa was petroleum products, which was around 17 per cent of the total(Figure 2). Other major export items included pharmaceutical products, vehicles other than railway or tramway, machinery and equipment, and cereals. Among the key imports from Africa to India, petroleum products dominated India’s import basket in April-February 2016-17, with a significant share of 52 per cent of India’s total imports from Africa (Figure 3). Other major import items include gems and jewellery, edible fruit and nuts, inorganic chemicals and organic/inorganic compounds, and copper and articles. Apart from trade, India has also undertaken significant investment initiatives in recent years to strengthen its strategic partnership with Africa. India has become one of the largest investors in Africa. The major investors include Indian Multinational Enterprises (MNE’s), Indian construction and telecommunications companies, and several auto industry majors. These investors have been participating in diverse sectors including telecommunications, energy, computer services, power, automobile, infrastructure, etc. in Africa. Approved cumulative investments from India to Africa amounted to US$ 54 billion during April 1996 to March 2016. Among the African nations, Mauritius is the leading country in terms of receiving highest FDI inflows, followed by Mozambique, Sudan, Egypt and South Africa. In addition to several investments in various sectors mentioned above, Exim Bank of India has in place Lines of Credit (LOC) extended to a number of institutions/agencies in Africa. The total number of operative LOCs to Africa stood at 154 as on December 31st, 2016 amounting to US$ 7.7 billion as extended to 44 countries. CII has been undertaking multidimensional initiatives for a number of years in order to strengthen India-Africa ties. The CII Africa Committee leads initiatives for enhancing skill development and capacity building in the African nations. These include providing scholarships and internships to African students in India, conducting training programmes for industrial services as well as technology and innovation, and continuous interactive sessions to share information on research and finance options available for traders and investors. For promoting trade and investment, CII works closely with the Government of India and organizes business seminars and international business delegations to Africa for sharing information as well as spreading awareness about the benefits of partnering with India. Another important aspect of CII’s engagement with Africa is the CII-EXIM Bank Conclave on India Africa Project Partnership, which CII has been organizing since 2005 with the objective of strengthening the India-Africa partnership. CII also organizes regional conclaves and so far, 13 regional conclaves have been hosted in Africa. Furthermore, the African nations actively participate in the international investors meet, “The Partnership Summit”, organized by CII annually, in association with the Ministry of Commerce and Industry, Government of India. The CII Africa Desk also participates in several multilateral business forums such as BRICS, Africa Global Business Forum, World Economic Development etc. to jointly discuss issues and constraints such as tariff barriers, expediting visa applications, technology transfer etc. A key forum organized by CII is the India-South Africa CEO’s Forum which was launched by Mr. Jacob Zuma, President of South Africa, during his visit to India in June 2010. The CII Africa Committee develops strategies to improve bilateral economic, industrial and trade relations and also engages in providing solutions and recommendations for strengthening bilateral engagements.